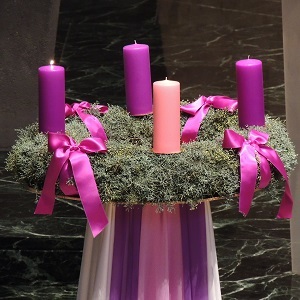 Each year during Advent, the sisters of the Generalate Community pray for a particular province, a particular group, or a global concern. Each member of the Generalate Community selects a topic, composes the intention in her language and prays it on the specified day during our Eucharistic celebration. We share these intentions on our blog, Today in the Congregation. We invite you to pray with us. 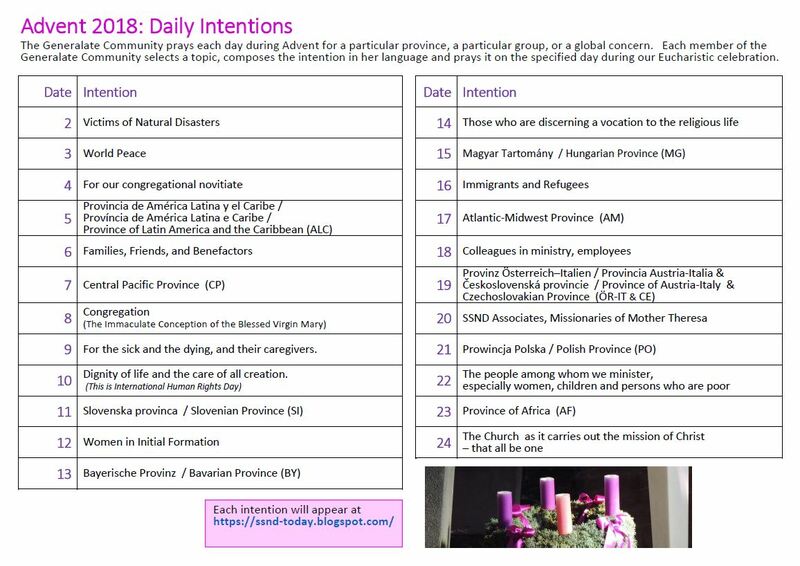 Below is the calendar with the prayer topics. The prayer itself can be found each day on the blog.